I had the privilege of spending last Friday afternoon at Lemnos Labs, a hardware incubator in SOMA. Lemnos is pretty new and still small: the first class of startups, set to graduate this June, comprises four companies. But it is attracting attention due to its unique focus on hardware, especially given the success hardware startups are currently experiencing. And, most exciting to me, two of the four companies are focused on food: Blossom Coffee and Momentum Machines. I spent about an hour and a half with Jeremy Kuempel and Matt Walliser, President and Chief Engineer, respectively, of Blossom Coffee. From their website, “Blossom seeks to provide coffee professionals with unparalleled control over the variables that affect the extraction of flavor from coffee.” Jeremy walked me through the path that brought him to Blossom and to working on coffee in the first place. As an undergrad at MIT, he drank a ton of coffee. He started investigating how brewing affects the flavor of coffee and came up with a simple yet novel framework: if you put temperature of brewing on a vertical axis and the duration of steeping on a horizontal access, the intersection of these two variables on a graph plays a huge role in the flavor profile and acidity resulting from a given bean. With over 800 identified flavor elements contained in a coffee bean, brewing variables can dramatically enhance the expression of its natural flavors. With a background in engineering and human-machine interaction (MIT), user interface design (Tesla Motors) and product design (Apple), Jeremy decided to build a machine to empower baristas, and, in the future, consumers in their homes, to brew the most flavorful coffee possible. 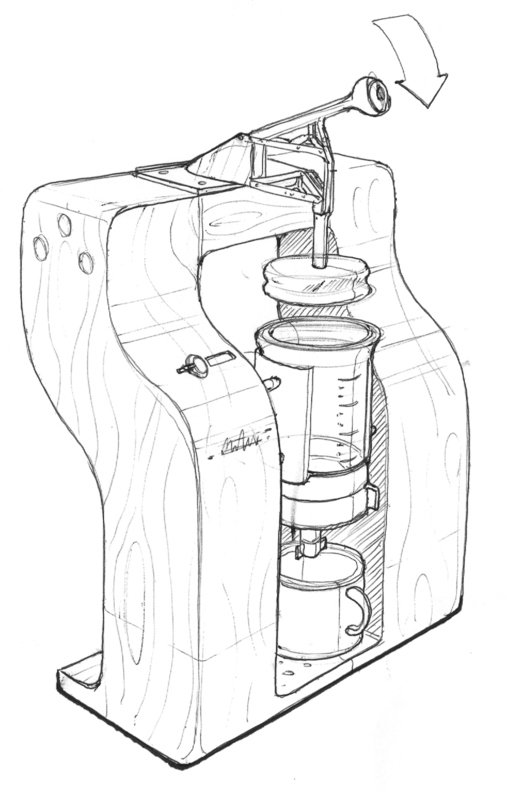 The machine is called Cafe1 (see sketch), and, with Matt leading technical development, Blossom is 6 weeks away from a working prototype. Jeremy also has some really exciting ideas regarding human interaction with the process and the role of internet connectivity. Jeremy succeeded in getting me pretty excited about what he’s doing. After spending a few weeks in Guatemala studying coffee last year, I’ve seen first-hand the opportunity for smallholder coffee growers to improve their lives when the quality of their product is recognized and celebrated. By creating a tool for enhancing the flavor of high-quality beans, Blossom can play a pivotal role in the advancement and democratization of a massive global commodity trade. Stay tuned for news of a launch party in the near future! And a follow-up post on the second company I learned about: Momentum Machines. This entry was posted in Uncategorized and tagged Design, Food hardware, Lemnos Labs, Making food, Start-up profile. Bookmark the permalink. 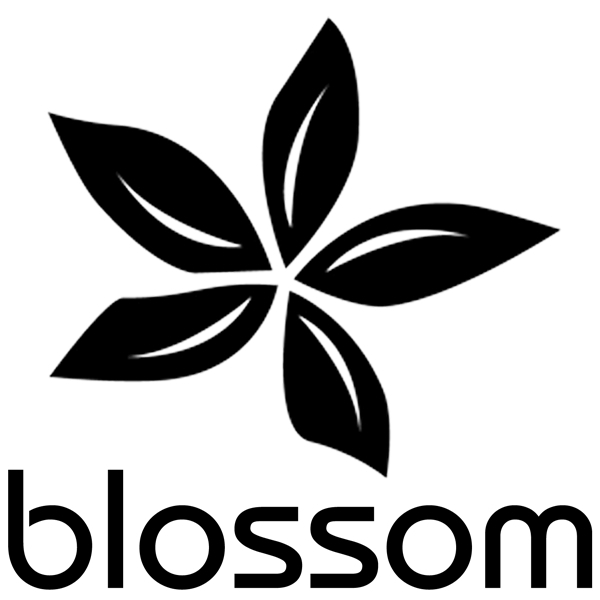 Blossom Coffee | Edible Startups <Loved it! I really like what you guy are upp too. This sort of clever ork and coverage! thing which I think I’d never understand.